Our free online wallpaper creator will enable you to design wallpaper within minutes and without any experience or software. 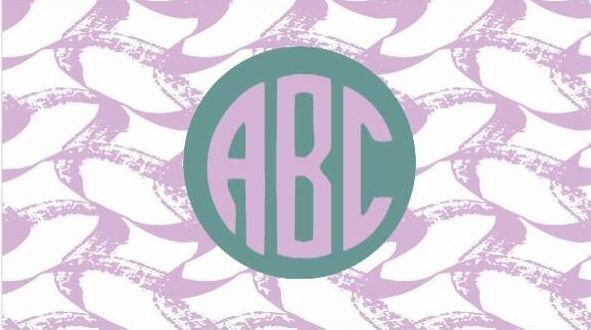 On this site, you can make monogram wallpaper for your desktop or mobile phone free! 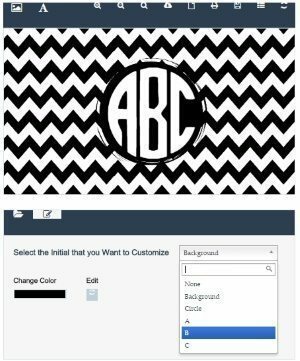 With our free monogram wallpaper maker, you can select your own background design and color, frame design and color and monogram initials and colors. You can then download it free of charge! 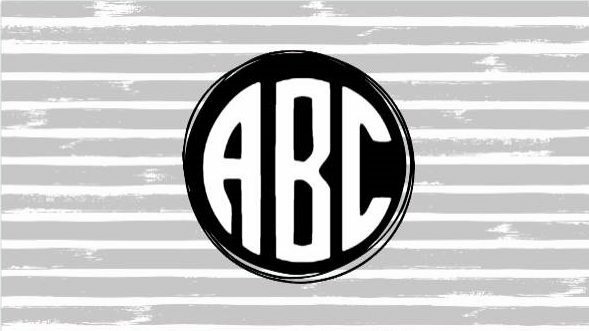 We also have a monogram background maker for other purposes such as to make gift wrap or binder covers. 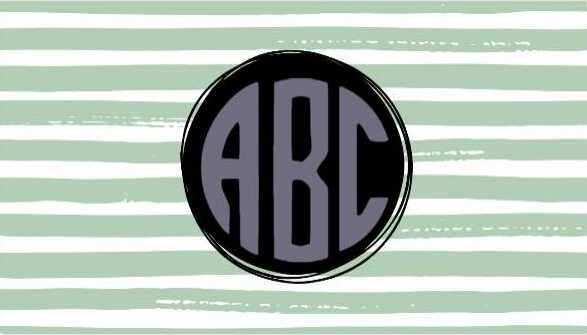 We also have ready-made monogram wallpaper templates with set backgrounds. 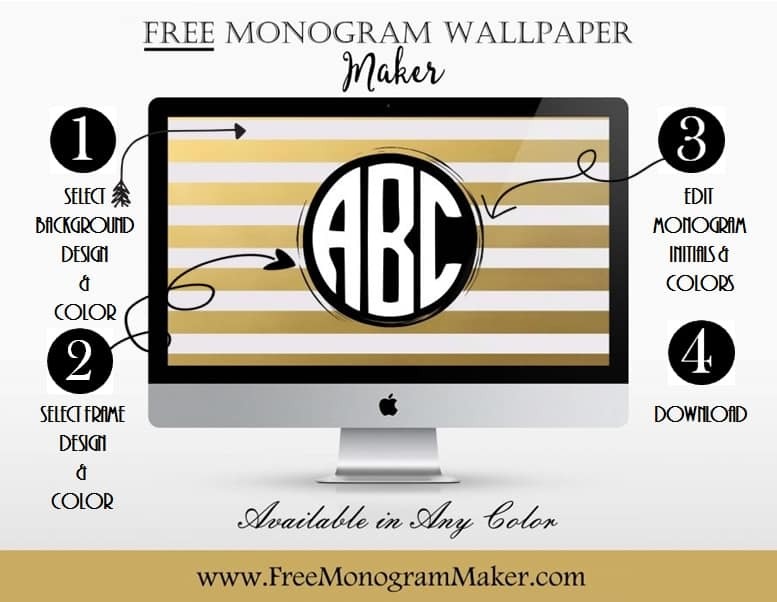 With our free monogram wallpaper maker, you can select both the background and the frame. There are many different backgrounds and frames to choose from. You can also select the number of initials and change the color of the background, frame and of each initial. Select the number of initials (4, 3 or 2) and the format (landscape or portrait). 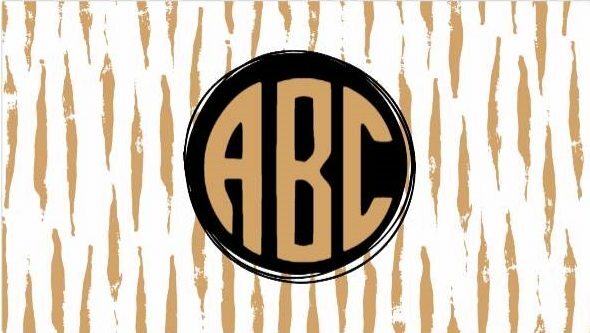 Under the monogram wallpaper maker, you will see a selection of round frames. Select any frame. Please note that once you continue you will not see the frames anymore. If you want to bring them back, click on the folder icon. Click on the background. Click on “change color”. Select the color that you want to use. Please note that if you selected the gold background then you cannot change the color. If you want to change the gold color, then go back to step one, and select the design again. Next to the title “select the initials that you want to customize”, click on A. In the text box to the left, type your first initial. 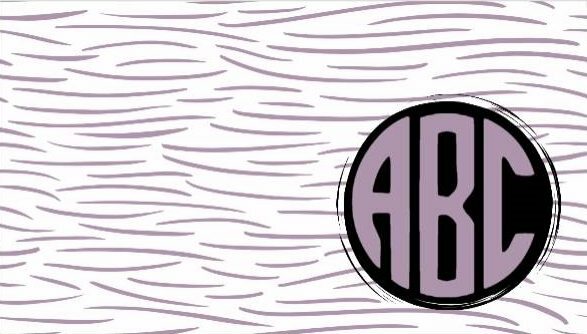 Repeat this process for your second and third initials. 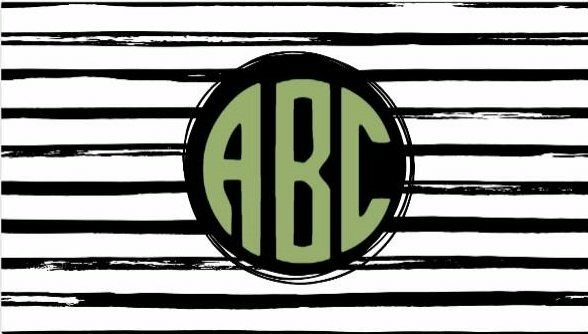 Once you have added three initials you can continue. 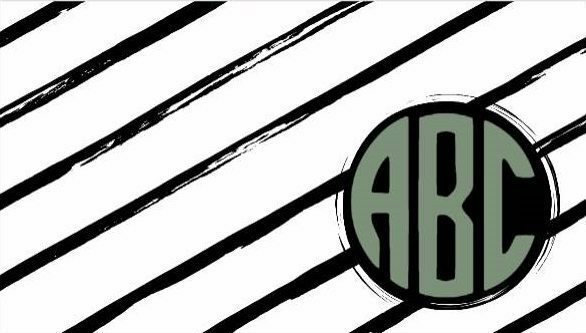 If you only want to use two initials then erase the middle letter (B). 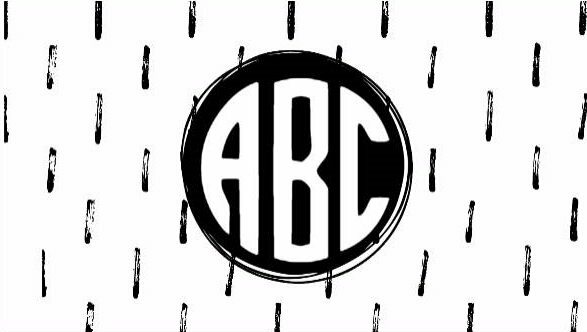 You can move the A and C closer together if you want to. 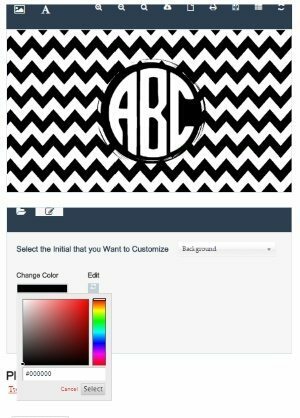 Change the color of the initials. You can leave the letters white or change their color. To change the color, select each letter, as you did in the previous stage. Click on “select the color” and choose a color. If you want the letters to be in the same color as the background, you can select the background and copy the hex color code. You can then go back to each of the three letters and paste the hex color code. 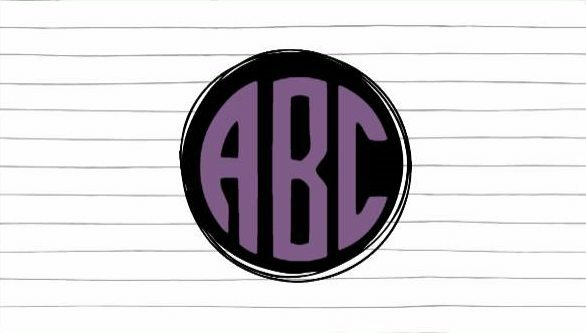 You can make each letter a different color or make all three letters the same color. Change the color of the round frame. The round frame will be black unless you change the color. Select “circle” (as per method to select each letter) or just click on the circle. In the color box, next to change color, select the color that you want to use. 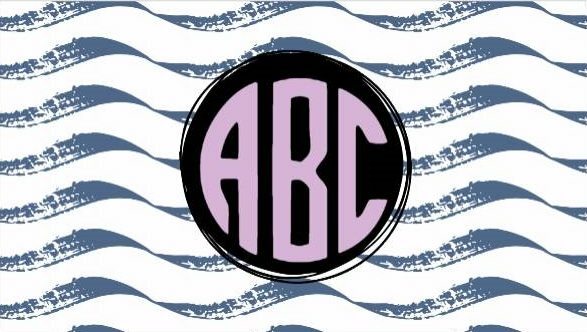 Download the monogrammed wallpaper by clicking on the small cloud icon. To make the desktop wallpaper, right click on the file (it should be in your “downloads” folder unless you saved it somewhere else) and click on “set as desktop background”. 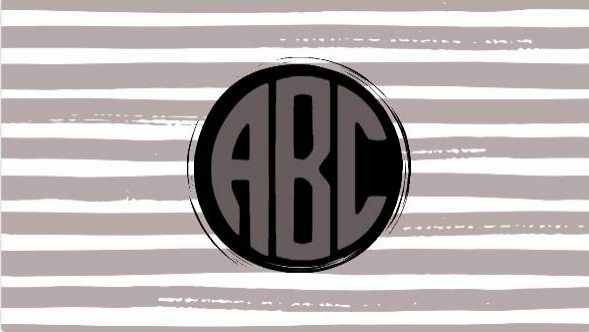 Tip: If you are looking to make a monogram background for another purpose then please check out the other products on this site such as the wrapping paper or binder covers. They are high-resolution files that are suitable for printing. 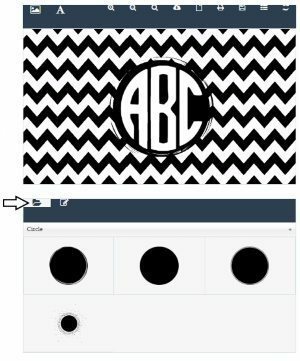 These monogram backgrounds have a low resolution which is suitable for desktop wallpaper but not for printing. You do not download the program but you create your design online and then download the final design that you created. 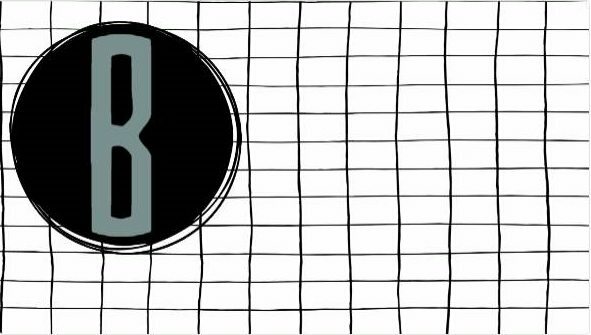 It is possible to make a design for more than 3 letters with this design? Do you have that option? I just added this option. 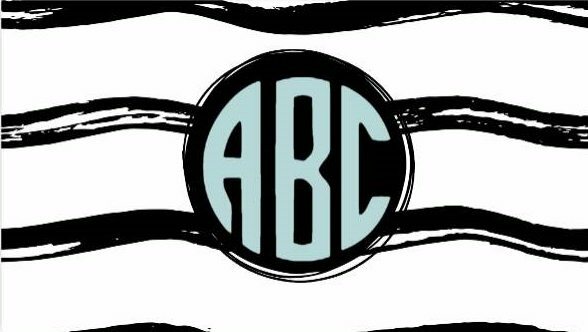 You now have a choice of 2, 3 or 4 initials.